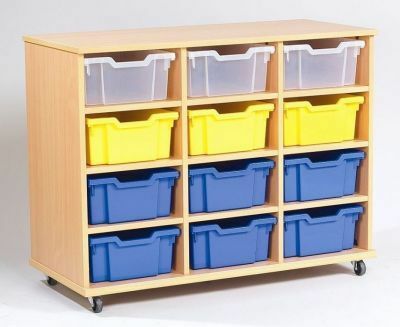 Triple column mobile tray storage unit with twelve deep Gratnell polypropylene or coloured trays options. Constructed with an MDF carcass in a choice of Oak, Beech or Maple. Assembled and delivered free to UK mainland destinations. 15-20 day lead time.